Thinner, lighter, and faster. 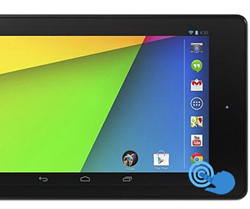 ASUS Nexus 7 Tablet brings you the perfect mix of power, features, and portability. Take it with you, and enjoy endless fun wherever you’re. The clean, simple design features a slim body, a thin bezel and a soft-touch, matte back cover. It sits comfortably in the palm of your hand while the bright, beautiful 7-inch display brings entertainment to life. At just 0.64lbs (290g), ASUS Nexus 7 is light enough to be taken anywhere, and fits easily in bags, backpacks, and even back-pockets. With up to 9 hours of HD video playback and 10 hours of web browsing or e-reading, there's plenty of juice to get you through the day, and built-in wireless charging means you can charge, grab, and go. 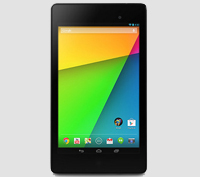 ASUS Nexus 7 packs a serious punch. With a quad-core Qualcomm Snapdragon S4 Pro processor (1.5GHz) and 2GB of RAM, everything runs faster. 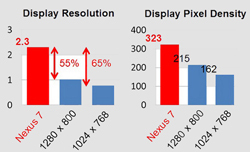 Plus, high-performance rendering ensures 3D graphics are smooth and dynamic. The world's highest-resolution 7-inch tablet puts over 2.3 million pixels in the palm of your hand. With 323 pixels packed into every inch, you can read text that’s sharper than a printed page, see images more vivid than the highest quality photo magazine, and watch movies come to life in vibrant HD. ASUS Nexus 7 features stereo speakers and Surround Sound powered by Fraunhofer (creators of the MP3 format), so you get rich and immersive audio. Hear it all more clearly with finely tuned volume boost technology that makes dialog and sound crisp and easier on the ears. Video conferencing and face-to-face chats with family and friends are more seamless than ever. 1.2MP front and 5MP auto-focus rear cameras allow you to capture every moment with rich photos or crisp Full HD videos. ASUS Nexus 7 comes loaded with your favorite Google apps – like Chrome, Gmail, YouTube, Hangouts and Google Now – so you can browse, watch, share and stay connected wherever you go. And because Google apps are designed for the cloud, everything is simple and works seamlessly across your phone, tablet and computer. Now you have all the stuff you need, when you need it. 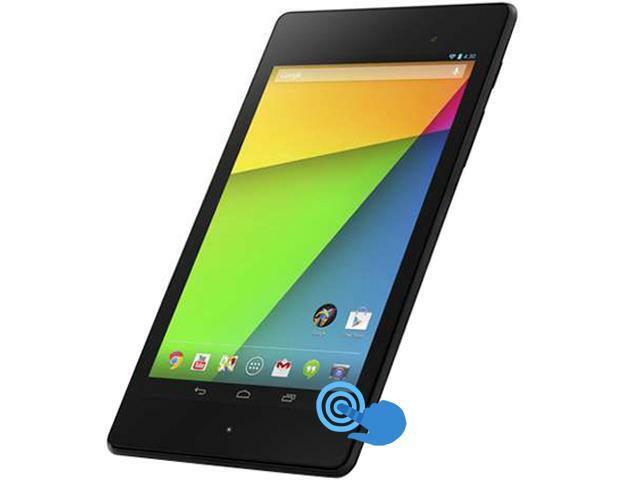 ASUS Nexus 7 is the first tablet to ship with Android 4.3, the latest version of the world's most popular mobile operating system, so it's fast, fun and easy to make your own. Share your tablet with friends and family – each person has a separate customizable space, including personal homescreen, wallpaper, apps, storage, and more. You can also manage access to apps and content to create an experience that’s appropriate for each member of the family. ASUS Nexus 7 is great for gaming and with favorites like Prince of Persia, Asphalt 8, and Riptide GP 2, you can tilt, tap, and touch your way to the top. The brand new Play Games app also lets you track your achievements, play with (or against) friends and gamers around the world, and discover new exciting games. And with an ever-expanding number of tablet-optimized apps like Flipboard, Expedia, or The Fancy, you’ll find all the apps you love, and love the many new apps you find. Kick back with the world's largest collection of eBooks, listen to millions of music tracks with All Access, and immerse yourself with thousands of movies and TV shows on Google Play. 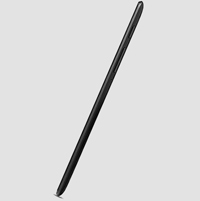 7.87" x 4.49" x 0.34"
This item is covered by Action Packaged Inc. Return Policy. Other Thoughts: Had it about a month but could bear with the random reboot itssue. returned. Pros: Light, bright, fast. All the things the reviews praise. If GPS is important to you, don't get this tablet. add on a year later:- GPS works just fine, does take some time to figure out how to use it. Lost the original, rebought the same tablet with less memory. Cheaper, and I found that I didn't use more than 16G. Pros: This tablet runs completely smooth for me, has never crashed, or locked up on me and I've had it since September. Thank you for sharing your experience with your Nexus 7. Please accept our sincerest apologies that your unit was bricked after the Lollipop update. I am more than happy to collaborate with you should another issue follows. Please do not hesitate to contact me directly via email at cl-tom@asus.com for any questions or concerns. We also have 24/7 support for your convenience available on our website which I will provide below. We take our users feedback seriously and will work diligently to apply any fixes where necessary. We hope you enjoy our product and have a great day! Pros: Great 1080P screen, 2 years old and still responsive and runs smoothly, Nexus means early updates and no wireless carrier or mfr bloatware. Other Thoughts: My first thought after reading the reviews here is "What the h*** do you people DO to these things?" I've had mine for 2 years or more and it still works great, runs smoothly, charges without a hitch... I did get a cheap fold-open case to keep it in so it didn't get all banged up. It's gone all over the place with me in the case of a motorcycle (where there's lots of vibration) and used *heavily* at home as my primary away-from-the-PC device. So in other words, it's a GREAT tablet and especially an exceptional value now that it's a couple years old and prices are lower. Pros: Very good in hand, compact. Cons: USB plug keeps breaking - I've replaced it twice. MMC memory on the primary motherboard has failed at least once - it is of a cheap brand that has limited writes. Asus warranty is awful. It gets 3 eggs because it is useful. Wifi is also very slow. Cons: The usb port is garbage. After about 1 year of use, you can barely charge it. Now it doesn't appear to charge at all. Of course, this is just a few months after the warranty ran out. This appears to be a very common problem, so it appears to be a design defect, IMO. Other Thoughts: Find a different brand. ASUS skimped on the mechanical part most likely to fail. I agree with other users that the USB port needs to be handled with care since it comes in a small form-factor. If the USB port was broken, you can send it in for service. Should you need further assistance, please email me at cl-rodel@asus.com and write down service# N150535679 on the subject line. Thank you for choosing an ASUS product.